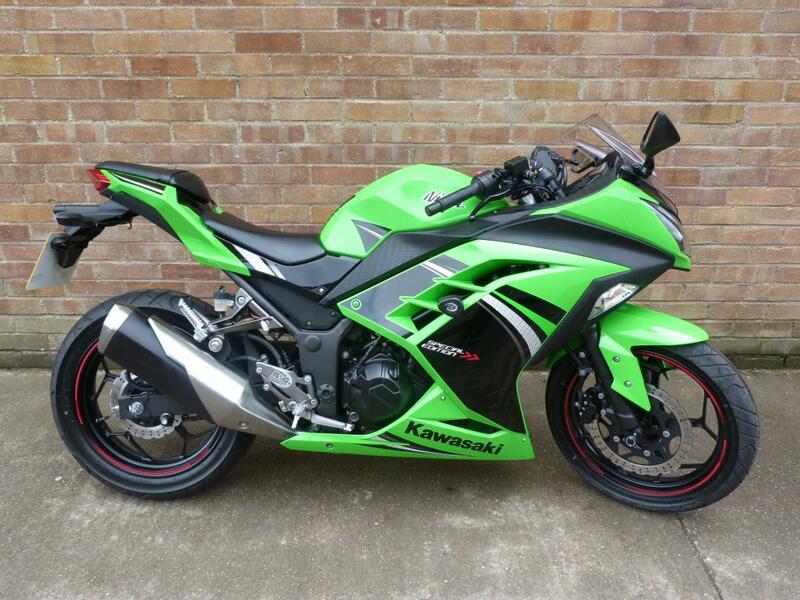 Here for sale is a 2014 14-plate Kawasaki ZX300-R Ninja Special Edition with just 1,448 miles on the clock. This lovely example Ninja 300 has had One mature female rider from new and is in stunning condition. The previous owner has also spent a fortune on extras as well. It has a Datatool S4 alarm/immobilser, R&G bungs, spindle bobbins and Genuine Kawasaki tank protector.